The continued influence of this servant of the Lord is much in evidence to this day. Darby's numerous writings and French and English translations of the Bible are still in print and enjoying an increasing circulation. Besides these translations, others exist based on his textual studies of the original tongues. His perceptions of Scriptural truths are the source from which Scofield reference Bibles get their characteristic notes. It is well documented that the influence of his powerful and clear teaching has been appreciated by millions of Christians throughout the world. 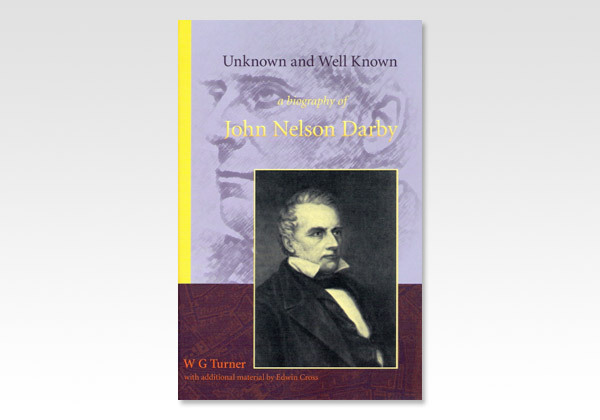 Edwin Cross has expanded this new edition of Turner's classic biography with additional relevant and interesting information as well as illustrations making it a yet more valuable contribution to our knowledge of John Nelson Darby.